Taken with Olympus E500 digital camera January 17th 2007. Click image for larger view. 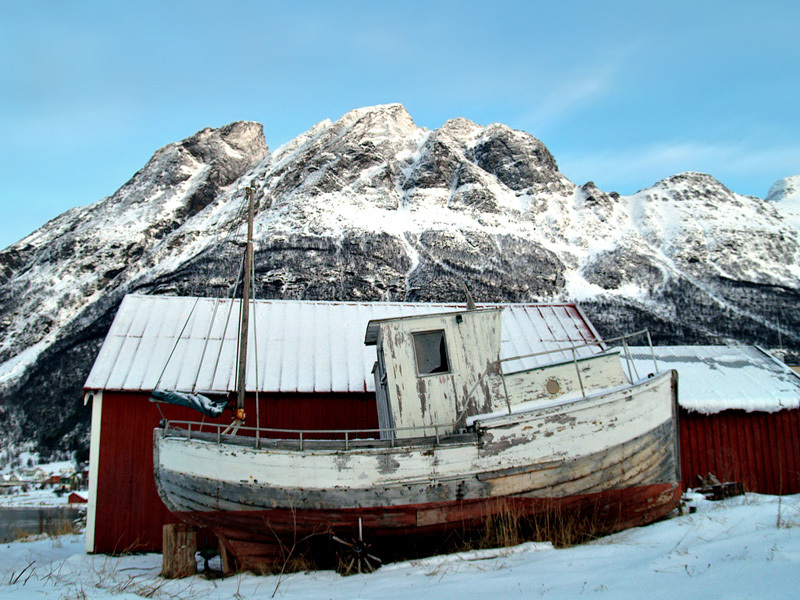 This photo of an old Norwegian fishing boat was taken on the first day I owned my fine Olympus E-500 camera. I have learned a lot about photography since then, but I still like this photo. I don’t think it’s too bad for a first try? Your pictures are always great. weird why is there a boat all the way up there? awsome picutre. Great photo of a double-ended lapstrake boat. Your site is lovely. I’ll visit again. Sorry for the broken link! Fixed now. Shaun: Hehe, you can see the ocean in the left corner so it’s not far from the sea. JJ Loch: Thank you. Never knew the name. This is a very good picture of the old boat. What I want to know is how diod they get it up therew ?